Can’t figure out where the years went and when the saggy, loose skin first appeared? Well, we can help! 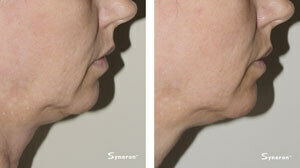 The ReFirme Skin Tightening treatment firms, tones, and tightens lax skin to reduce the appearance of wrinkles. It promotes immediate elasticity and firmness. This is effective on face, neck, jowls, eyelids, or the body. 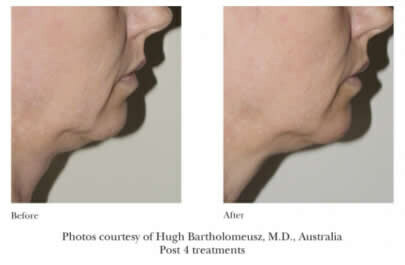 What is ReFirme Skin Tightening? Vitalia MedSpa’s ReFirme laser treatment firms, tones, and tightens the skin, giving you a more youthful appearance. It promotes immediate elasticity and firmness. 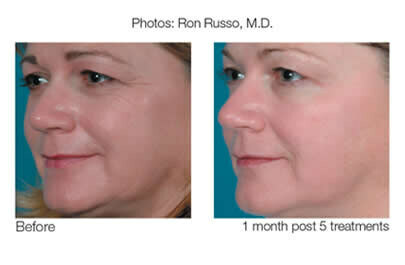 ReFirme is effective on saggy, lax face, neck, jowls, or the body. By combining radio frequency and light energy, the ReFirme stimulates the production of new collagen, the skin’s building block and support structure. These treatments are safe and effective for all skin types. 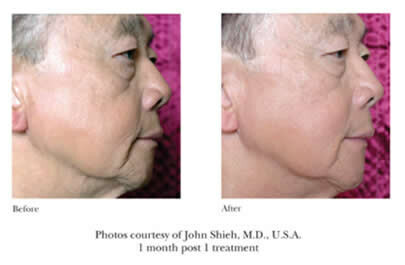 For most of our clients, the final result and maximum cosmetic facial enhancement will likely take about 5 treatments. The treatment begins with a free consultation to ensure this is the right treatment to address your concerns. The treatment itself takes about 45 minutes, and they are scheduled 3 to 4 weeks apart. There is no downtime. Although you can see results after one treatment, more and more skin tightening will be achieved with each subsequent treatment. A more youthful complexion following the treatments will be created through tighter skin, reduction of skin laxity or wrinkles, and the smoothing of skin irregularities. class="page-template page-template-page-theme page-template-page-theme-php page page-id-8228 samba_theme samba_left_nav samba_left_align samba_responsive tribe-no-js wpb-js-composer js-comp-ver-5.4.5 vc_responsive"